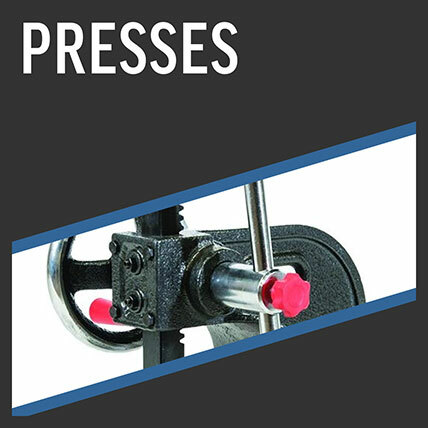 These presses deliver the heavy force needed for riveting, squeezing, punching, and bending. 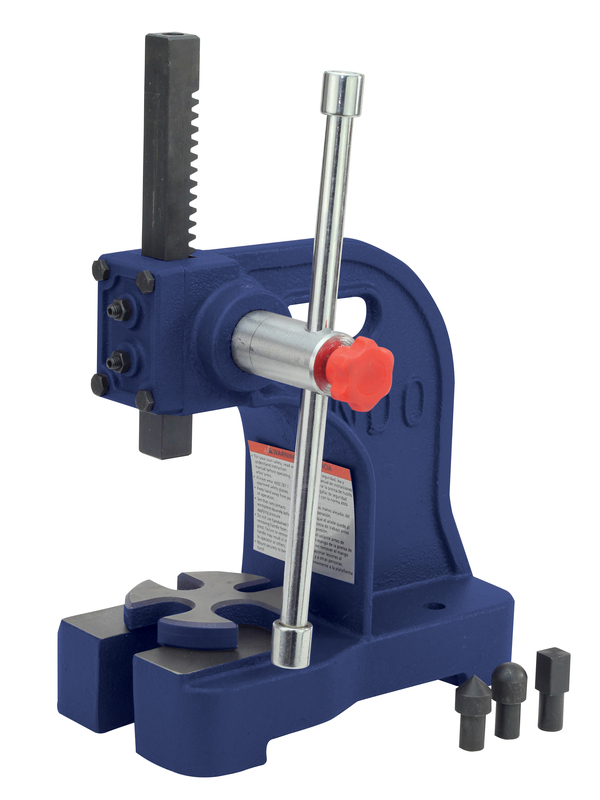 Sturdy cast-iron construction is driven by a machined pinion and supports multiple design features. 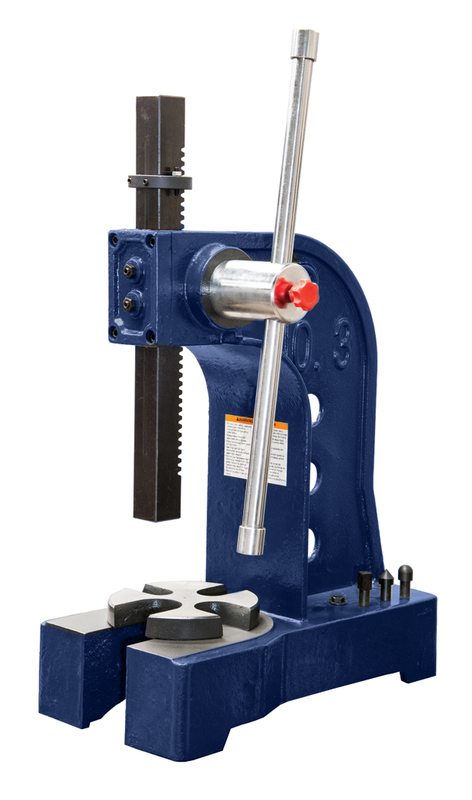 A removable machined steel anvil provides support in four positions, depth stops clamp directly to the ram and withstand full pressure, and locking adjustment screws limit ram stroke depth. 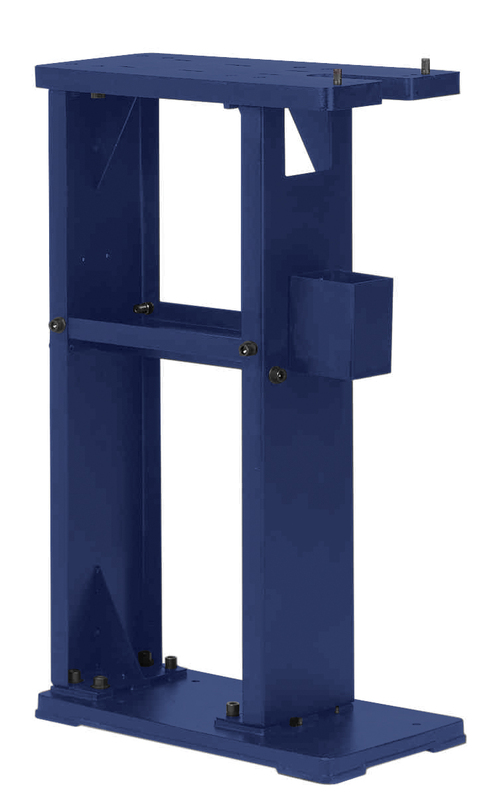 The reversible two sided ram features one solid end with the other end housing a magnetized insert to hold bits, punches and tools. 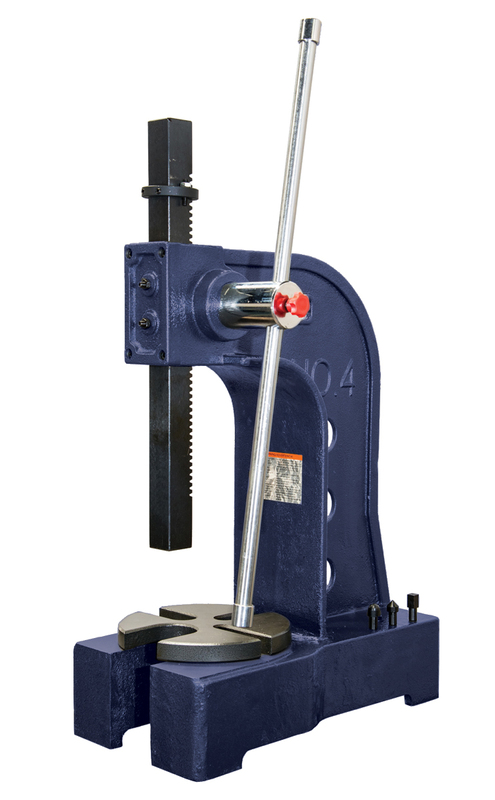 Presses come with three bits that fit into custom storage wells in the base, and the base itself is drilled for easy mounting on a pedestal or bench. 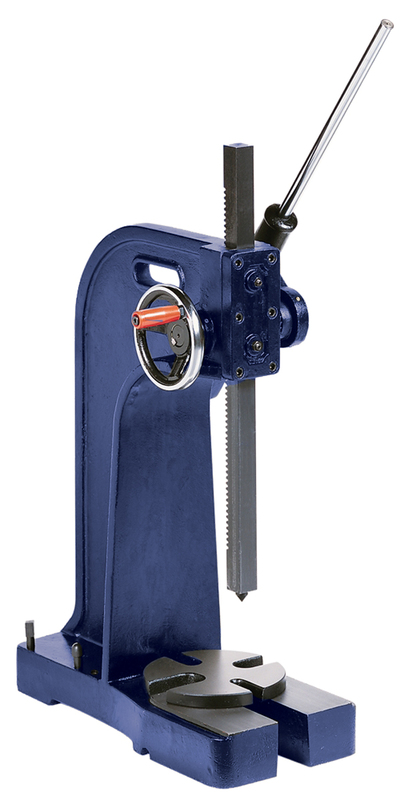 Racheting Arbor Presses allow operators to maintain the arm in an optimal position with consistent force application. 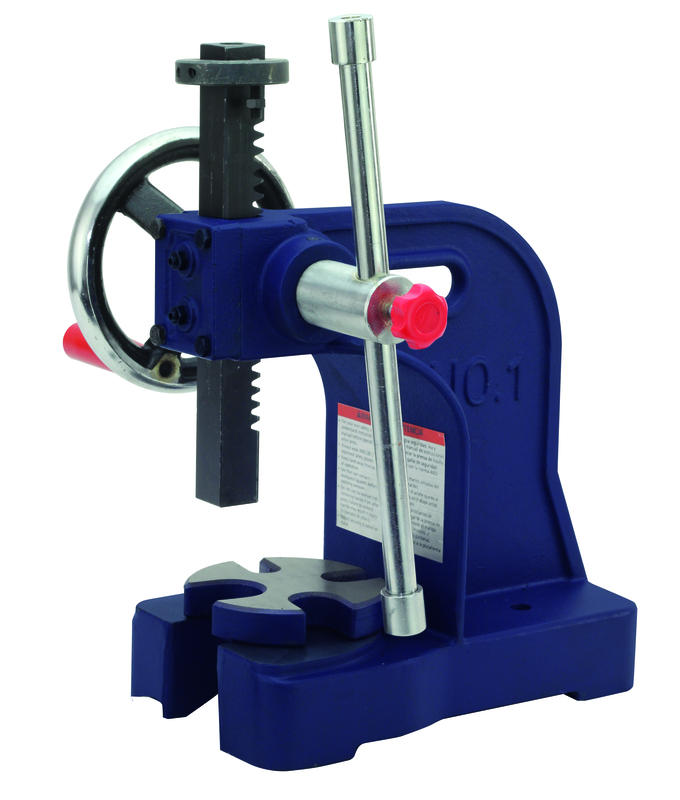 The design allows for more clearance over the table for large workpieces, and features a counterweighted handle for a rapid return and a quick ram advance via side-mounted handwheel. Air over Hydraulic C frame press - 10,000 lbs. Air over Hydraulic C frame press - 20,000 lbs.